If you are considering eloping in Las Vegas, this may be one of the best decisions of your life. Many wedding couples have made this choice and reported their happiness making this decision. Everyone knows weddings can be one of the most stressful times to endure. One of the reasons they choose to elope is to reduce the stress of the occasion. Just the process of packing your bags and preparing for the experience can be stressful. Many people don’t want to add stress by having to accommodate and plan the experience for their wedding guests and relatives as well. When you reserve this time to focus on your spouse it can be a refreshing and memorable stress free experience. Most family members understand it when you decide to elope. That is the beauty of eloping. Many couples don’t even tell people they are getting married. Let’s face it, some family members and even friends get offended when they are not invited and they feel left out of the process of planning your wedding. However, if you have close family members you don’t want to leave out bring them along. It is still considered eloping if you bring a few people close friends or family along. If it really matters to you, do what you feel is best. It’s your experience, make it a great one. 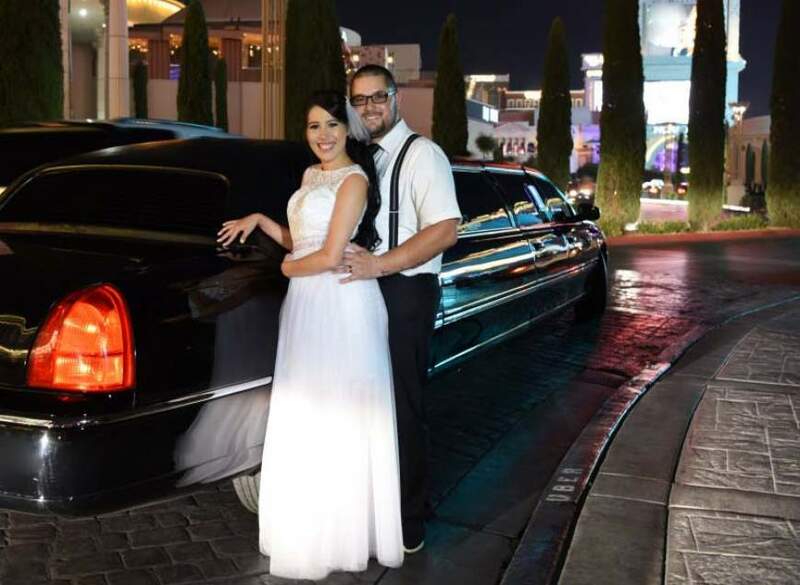 After you make your choice to elope, there are still things you need to know about Vegas which will make your experience better. 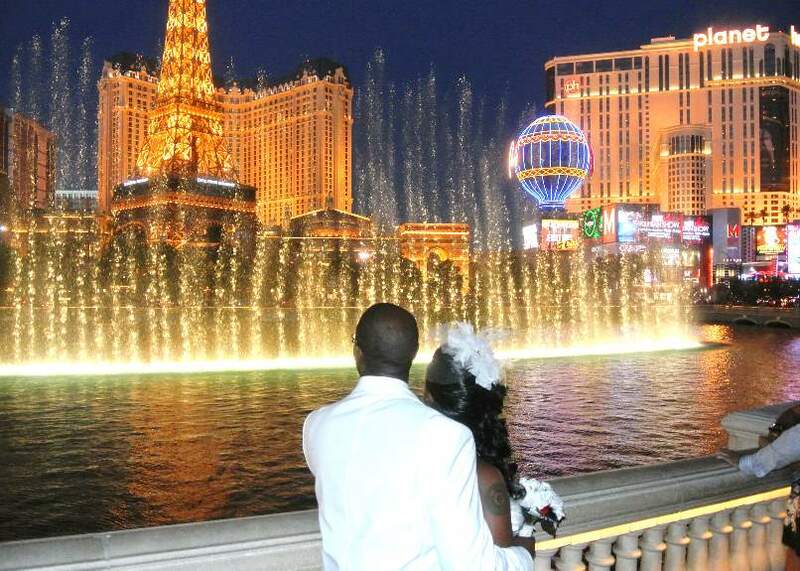 These tips should help you plan and know what is essential when planning your wedding in Vegas. The beauty of eloping is your ability to choose your wedding date on whatever date you find best suits you both. You don’t have to cater to family members and their schedules. Since Las Vegas is a 24 hour town it opens up opportunities in many ways. Nonetheless, there are things you need to take into consideration when choosing your date. Some holidays in Vegas are especially busy and not the best to choose. If you do choose them, you will need to research what to expect. Some of the extra busy holidays are Valentine’s Day, Cinco de Mayo, and New Year’s Eve to name a few. Holidays bring more traffic and longer wait times at the Courthouse when you go to get your marriage license. For instance, on New Year’s Eve the Vegas Strip closes down for a period of time and costs for wedding facilities will increase. Booking your hotel and wedding ceremony in the off season will help guarantee some of the lowest rates of the year. Finding a place to stay during a convention will be more difficult. Hotel resorts often increase their pricing during large conventions. It’s a matter of supply and demand. Hotels have even been known to kick out people if other customers are willing to pay more, even if the reservation has already been made. Be careful and visit the Las Vegas Convention and Visitors authority to check ahead of time what conventions are in town before you book your wedding date. Think carefully about what you want. What kind of experience do you want to have? Do you want a simple wedding for your elopement? How simple do you want it to be? What is your budget? Your budget will determine what options are available. These are just a couple of the questions you need to ask yourself before deciding on a wedding venue. You can still wear elegant wedding attire when you elope. If you choose to get married simply you may still capture your memories and experience with a wedding photographer. This is an essential thing to decide. Will you get all dressed up and choose to rent a dress and tux for your occasion? Keep it simple and wear a dinner dress or semi-formal attire. Determine if you will still get all dressed up or if you will simply show up in whatever you are wearing that day. Many couples find something in the middle of formal and casual, after all, it is your wedding day. But then again, the beauty of Vegas is you can do whatever you like for your wedding and no one will judge you. Choosing mobile vendors keeps it simple: The beauty of eloping with a private vendor that is not a corporation with strict rules is going casual if you desire to. You may choose many mobile vendors or vendors that offer wedding packages. These vendors can come to your room and marry you on your wedding day. They also offer you choices for enjoying wedding packages on the strip or in local parks, if you want to keep it simple and yet enjoy the excitement of the city. Finding accommodations during certain times of the year can be a challenge. For instance, New Year’s Eve is a very busy time of year and the price for hotels will rise. If you are eloping during a holiday, you may want to consider staying off of the Las Vegas strip at one of the local hotel resorts. The low season in Las Vegas are June to August primarily due to the heat of the season. Even though it’s hot many tourists still come to Vegas in droves because they take vacation then. There are many time shares, for instance, or rental homes that would offer you a great alternative to staying on the strip. But if you do choose to elope you may want to consider choosing a resort that will accommodate both your ceremony and accommodations. Serving both functions will save you money and offer you a private venue without the stress of traveling and feeling pressured by a chapel’s strict rotating assembly line of weddings. The Four Seasons Hotel may be a great option for your wedding because it does not have gambling. It’s a luxurious choice and offers beautiful rooms and suites which can double as ceremony sites. If you want to be pampered in luxury this is a great choice. Next door to the Four Seasons is Mandalay Bay Resort. This resort has excellent rooms and a great pool with a beach and wave machine. The Mandalay Bay has a fountain area that is spectacular with waterfalls and lush scenery to take in. It’s terrific for photo shoots. The MGM Grand Signature Suites are terrific to have a private ceremony, even with a few guests. The balconies offer a great view of the strips City Center. The Venetian hotel is a romantic option offering a venue with the old world charm of Italy. Its casino boasts frescoed ceilings. Its rooms offer excellent options for weddings that may be held in the sunken living rooms. It also has the romantic Venetian canal and gondolas you may ride in after the ceremony. The Cosmopolitan Hotel offers wrap around suites with balconies overlooking the Vegas Strips’ famous Bellagio Fountain. This make it a popular choice for a wedding elopement. These are just a handful of popular resorts on the Vegas Strip but there are many more to choose from. You may hold the ceremony in these rooms and enjoy the privacy and pampering by having your hair and makeup done in the room before the wedding. Whatever decisions you do make, have a peace of mind that you chose to get married your own way with low stress and memories of happiness to last a lifetime.